We're a little worried about the fate of our favorite ABC show. 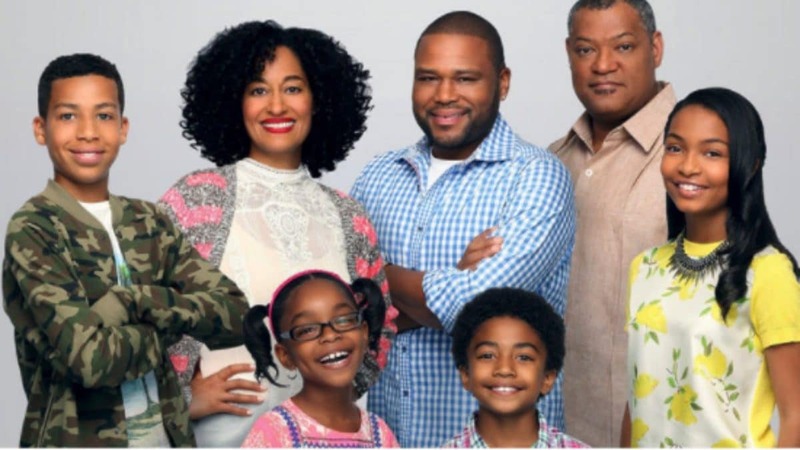 Even though ABC has just cancelled several of its shows, fans of black-ish are in luck. The super successful series that stars Tracy Ellis Ross and Anthony Anderson has been renewed for a fifth season. Despite the good news, we’re left with many questions about what the next season of the hit show may look like. Will Bow and Dre stay together? There are plenty of things to love about this funny, thought-provoking series, but one of the main attractions is the loving relationship between Dre (Anthony Anderson) and Bow (Tracee Ellis Ross). Considering the fact that these main characters are currently separated with no signs of reconciling, plenty of people are worried that a season about divorce is coming. Since there are so few examples of strong black marriages on the small screen, watching one of our favorite couple call it quits could be too much to bare, and several fans have already stated they would stop watching the series if Bow and Dre split up for real. Will black-ish continue to tackle tough issues? We’re still miffed that ABC pulled a slated episode of black-ish that touched on Colin Kaepernick and the “Take a Knee” movement, and the network’s decision to censor such an important subject has us worried that the show may go in a different direction in the future. While we’re all about the laughs the stellar cast serves up, one of the biggest draws of the show is that it’s not afraid to make big statements on controversial issues. Will Kenya Barris return? The rumor mill has been swirling for month about the idea that blackish creator and executive producer, Kenya Barris, is trying to get out of his contract. We can’t imagine the series being helmed by anyone other than Barris, so if he leaves, we may be in for big changes. Is Yara gone for good? While we love watching Yara Shahidi’s character live her best life at college on Freeform’s Grownish, we’re hoping she continues to make cameos on the series that launched her career. It would be great to see how a grownish child deals with her parent’s marital issues and we’re hoping that she makes her way back into the black-ish storyline to shed light on how impending divorce affects kids in college. When will the Season 5 begin? While we already know black-ish will be back, we’re still wondering when it will return. The first three seasons kicked off in September but the fourth season got a late start with an October debut. We’ll be waiting on this answer for a while because ABC usually doesn’t announce its fall line-up until the end of the summer or early fall. The season finale of black-ish airs tonight at 9/8c.